Delhi MCD Elections scheduled for today April 23, 2017. Everything is already prepared as you can see the polls are going fine without any disruption. Municipal Corporation of Delhi, which is an autonomous official body governs eight districts in Delhi. MCD is one of the largest regions in India and covers a population of more than 11 million people. Taking control over it is very important for all political parties for future Assembly elections. So they are going to contest with a desire to win the elections. In fact, that would mean taking the complete power in the districts. But it is always hard for only one party to make flawless victory so they divide seats among themselves. One that gets the majority of them will have the strongest power and can elect the Delhi Mayor. Still, there are three winning parties that have the highest chance to win the election and majority of the seats. The main struggle will be between them. 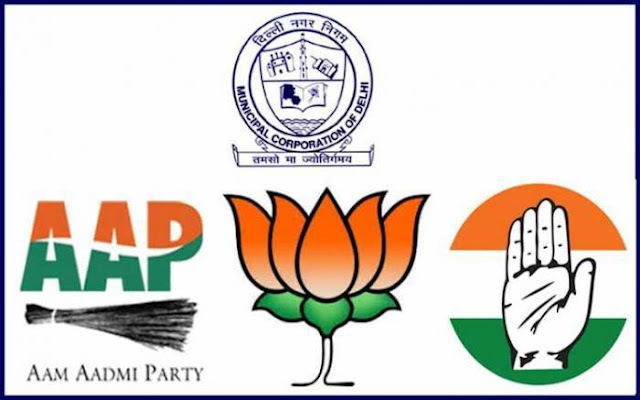 Their names are the Bharatiya Janata Party (BJP), the Indian National Congres (INC), and the Aam Aadmi Party (AAP). The first two already have the majority because they won the last elections in 2012. But AAP is trying every means to win the MCD elections to gurantee seats for future Assembly Elections. AAP had already high fulfilling wishes to the Delhi people if they win the polls. There are 272 seats in total, separated and organized into three different regions; North, South and East Delhi. Each seat will get its own councilors, previously nominated by one of the winning parties and lastly chosen by citizens. They would be elected for next five years and the last elections were in 2012. As you probably can imagine, this will be a quite interesting event for people living in the region. They would definitely be pretty interested to know everything about the process and final results. ABP News will broadcast MCD Elections live and all will be able to watch it free on YuppTV. It will be discussing many important things during the elections. MCD Polls Live will be more interesting and informative with YuppTV. You will have a possibility to quickly find out if your favorites win the elections. That may be a really precious information in the moment.